Puebla was always on my list as a place to visit in Mexico, but the charming colonial city always seemed to elude me until recently. And already since my first visit, I’ve returned. 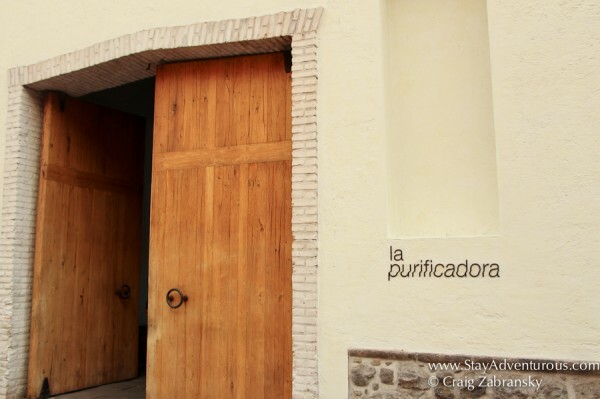 On my stays, I spent nights in multiple hotels across the center city and the outskirts, but on my next visit, I’ll be returning to the best hotel I found in Puebla – La Purificadora. 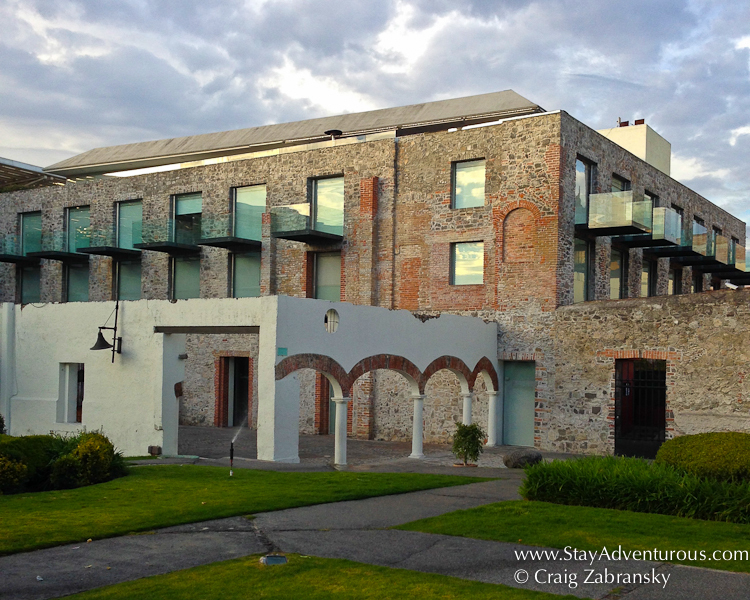 The Grupo Habita property is my “Where to Stay” in Puebla. 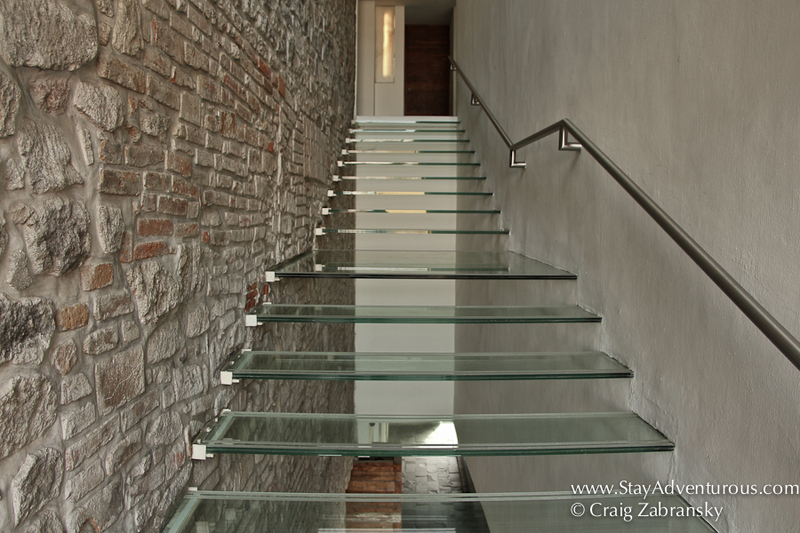 The once water purification and ice making plant renovated by Mexican architect Ricardo Legorreta contains a modern vibe, yet the Puebla hotel property keeps the historic charm of its past. The hotel easily described as open and spacious serves as an experience, an experience that begins as soon as you open the door. 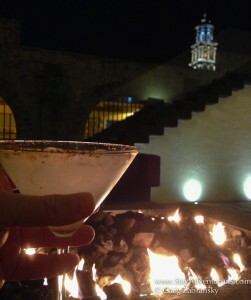 With your welcome cocktail in hand, you converse with reception but gaze out to the open air lobby containing the elements of both water and fire (in the evenings) coupled with an amazing view of the impressive Church of San Francisco. It’s already off to a great start. As much as I loved the lobby, the rooftop is another must. Keeping the same design concepts, the rooftop continues to be a place to chill, converse and people watch. With a full service bar and also an above ground clear “open” style pool (contains a clear wall to enable you to see through the side) it is worth a visit both day and night. Here you can even swim a few laps and take in the sights and sounds of the Church of San Francisco in the background. (You can even hear the bells of the church underwater). 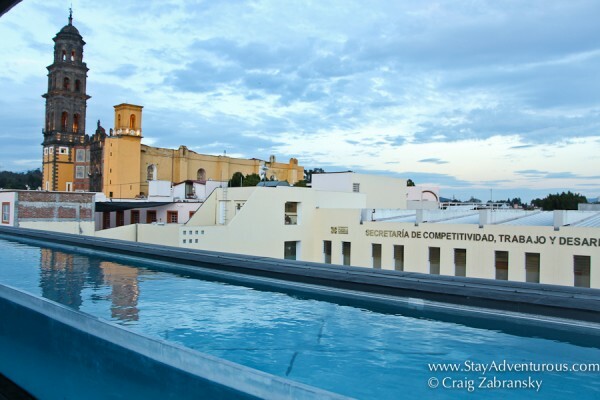 One evening I headed up for a sunset moment, but you can only see the tip of the Popocatépetl Volcano, the twin tall squires of the Cathedral of Puebla in the Zocalo when standing on the top step of the pool. Nonetheless, it was a beautiful moment in the pool and on the roof. As much as the hotel serves as an oasis to the traveler, la Purificadora’s central location will enable you essentially to walk to most attractions. 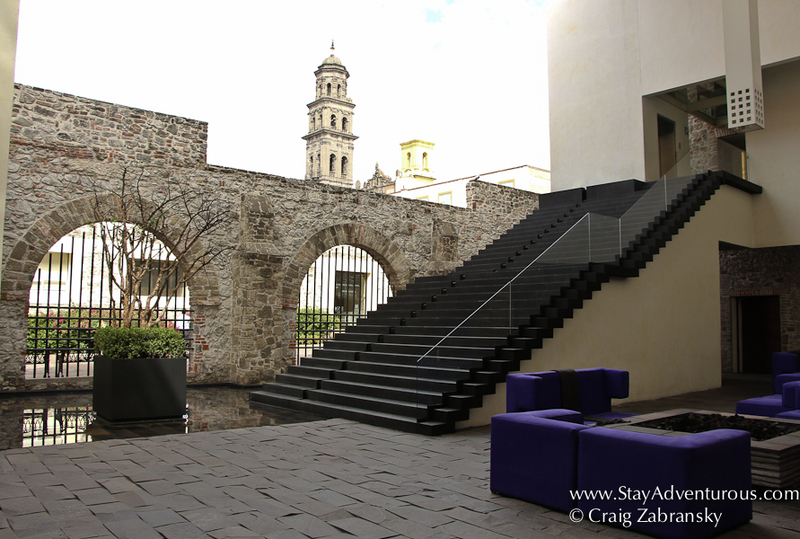 It’s mere steps to the Cathedral of Puebla and the main Zocalo or to the best Chalupas in town. Visitors can also reach many of the churches, markets too, even the arena to watch the luchadores is a manageable distance. In a colonial city where wandering is one of the best ways to appreciate the charm of the destination, it’s central location certainly has its perks. I loved my corner room with its extra space and also its simple, open design, but my view was not something I’d put on a postcard. 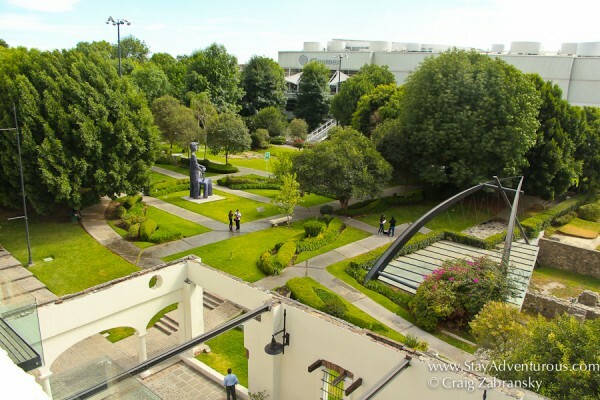 The hotel does offer access to rooms with great views and even balconies. Taking the upgrade to a higher floor with open balcony over the adjacent green space might make for a better experience. 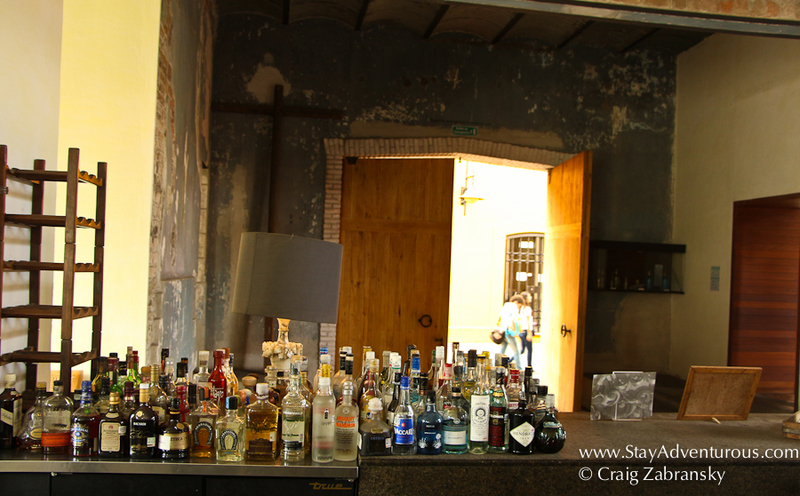 But if you need to save the pesos, there are plenty of ways to spend it at the hotel including dining in its ground floor restaurant. I enjoyed both a dinner and breakfasts at the hotel. No doubt hotel La Purificadora is my recommendation when visiting Puebla and it would have my current vote for the best hotel in Puebla, that’s why it makes the Where to Stay Series. As for how long to book? I recommend a three nights. This amount of time will enable a visitor enough time in the colonial city of Puebla and also enjoy the La Purificadora hotel experience. 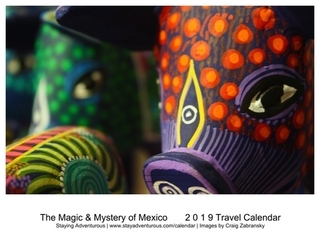 Actually it may make for a perfect add-on to the long weekend in Mexico City I am offering through StayAdvenTours this fall if you want to make your time in Mexico a full week. 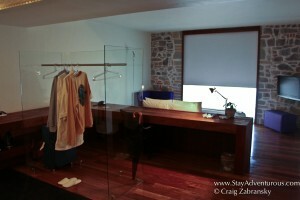 Currently rates start at $107 USD per night and include a continental breakfast (extremely filling) too. I noticed these rates through much of May and June including May 5th. Cinco de Mayo is a celebration of a Mexican victory over the French Army in Puebla during a conflict dating back to 1862. It is celebrated in the city and the state of Puebla, not across all of Mexico. (Learn the truth about Cinco de Mayo). I have no doubt it will be a good time in Puebla with plenty to experience around hotel La Purificadora. Perhaps, I’ll make it my next and third trip to the city next May if not sooner. My first visit to Puebla was as a press for the 2014 FMGM in November. I returned later to attend a friend’s wedding just three months later. On that trip, I extended my stay to become a guest of the Grupo Habitat – la Purificadora Hotel. As always the opinions are my own.